Most articles I’ve read on avoiding checked bag fees give tips and tricks on how to travel with carry on luggage only. Personally, I try to avoid checking in luggage and I almost always travel with carry on bags only. But what if you have to check in luggage for some reason or you just prefer to check your bag? 1) Fly with airlines that allow you free checked bags. If prices on flights on two different airlines are about the same, take into account checked baggage fees when booking a flight. Many airlines allow you to check one bag for free on international flights. In the US, most airlines charge you to check your bags on domestic flights. The only exception is Southwest which allows two (2) free checked pieces of baggage per ticketed customer. If you are flying in the US and planning on checking 1 or 2 bags, consider flying Southwest if fares are about the same as another airline. 2) Get a credit card. Some credit cards offer a free checked luggage benefit. For example, the United MileagePlus Explorer card allows the primary cardmember and one companion traveling on the same reservation to receive their first standard checked bag free on United-operated flights when purchasing tickets with their United MileagePlus Explorer card. If you always fly on the same 1 or 2 airlines and check luggage, consider applying for a credit card affiliated with those airlines to avoid checked bag fees. Another option is a credit or charge card that offers an airline fee credit like the Amex Platinum Card. Many credit cards either offer one free checked bag or some kind of airline fee credit but the best card depends on your travel habits. 3) Gate check your luggage. If your larger bag doesn’t have any prohibited items and is close to carry on size you might still want to gate check your luggage. Airlines will gate check bags that do not fit in the overhead bins for free. The benefit of gate checking is that you do not have to worry about carrying a heavy bag on the plane and placing it in the overhead. In order to have the airline gate check your luggage, board a packed flight last. Most likely the overhead bins will be full and the airline will gate check your bag for you. 4) Place ads on your luggage. There is a new company called Orion that will pay your luggage fees if you place advertisements on your luggage. Actually, they send you free bags with ads so you not only avoid bag fees but get free luggage. The company has received a lot of press but the service starts sometimes this year. I would totally take advantage of this if I had to travel with checked luggage and would have no issue with having ads on my bag. 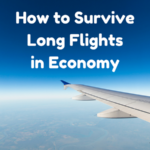 5) Get airline elite status or fly in first or business class. If you have certain elite status with an airline you can avoid paying baggage fees on a certain number of bags. First and business class passengers are also exempt from some baggage fees so you might want to use your miles to book a first or business class ticket. Another option is to pay to upgrade into first or business class. 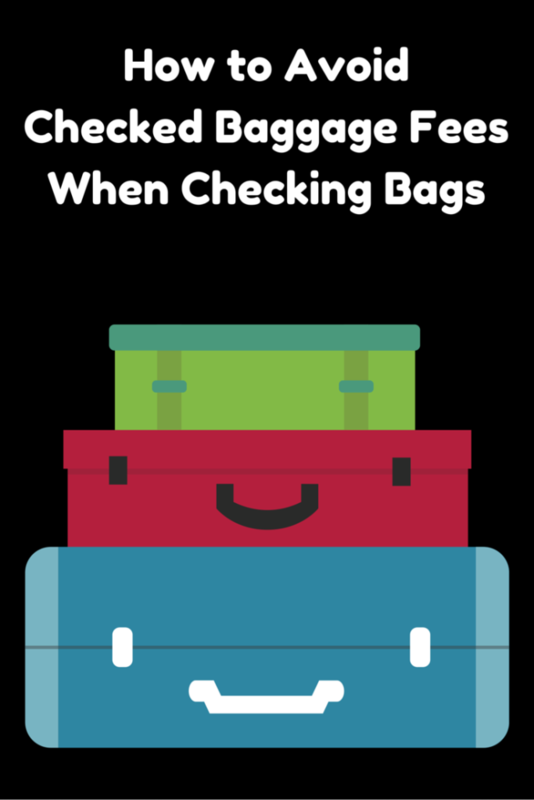 For more specific information on checked bag fees and exceptions, check your airline’s website. My First Blogging Award Nomination! I’ve come across the “ads on the bag” campaign a few times. Thanks for the link, I’m going to check them out. I’d love to save on baggage fees.